(Above) Corley hauls heavy racks of lamb and beef during a challenge in Argentina. (Top) Corley and his mom near the starting line. For the adventurous set, living the dream means waking up, hopping on a plane at a moment’s notice, and diving into cultures around the world. 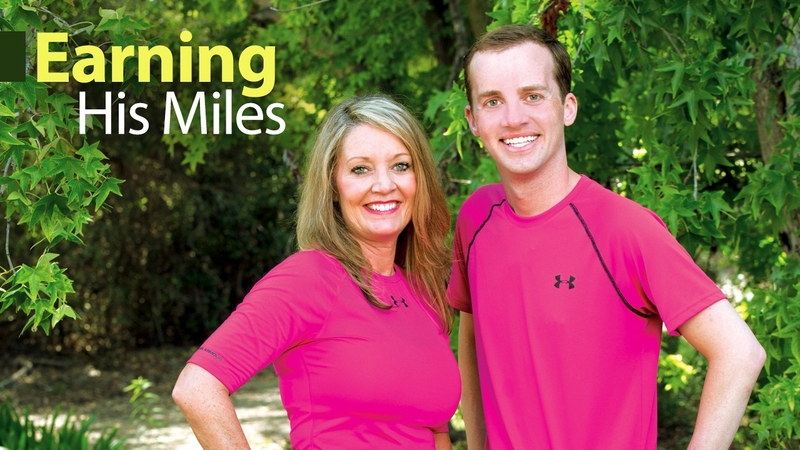 For 2015 UAB School of Medicine graduate James Earl Corley, M.D., and his mother, Denise Williams, that dream became daily life when they competed on the 27th season of The Amazing Race. The two-person teams race to win $1,000,000, but competitors often cite the experiences along the route as their most valuable takeaway. Team Alabama, which ultimately placed fifth out of 11 teams in the race, won the segment set in Zimbabwe. To do that, Corley had to swing on a rope into a gorge over the Zambezi River. “It was amazing,” he says. It’s something you never think you would do in real life.” Next, he and his mom walked with lions. “Then we had a foot race with fruit baskets on our heads. Luckily, we came out on top. That was exciting because we didn’t know how we’d fare against some of the younger teams.” The next day, all teams flew to France for more challenges. After dressing a polo horse, Corley and his mother meet host Phil Keoghan (left) at one of the race's Pit Stops in Argentina. As he gets further into his residency, Corley plans to incorporate the biggest lessons from the race into his practice. “I’ve learned a lot about different people around the world,” he says, adding that it’s important to respect patients’ cultures and customs when caring for them. “We have to keep that in mind,” he says. Team Alabama (in pink) joins competing teams and Keoghan prior to the start of The Amazing Race. • Discover the educational, clinical, and research opportunities available through the UAB School of Medicine. • Learn more about the Best Medicine Show and Equal Access Birmingham, and watch videos of recent performances. • Give something and change everything for Equal Access Birmingham patients and UAB School of Medicine students.